Yoga, Wine and Bruch… could there be a better way to spend a morning? We think not! Join us May 5th at 9:30am as we partner with Oranj Fitness for an outdoor Yoga session overlooking the vineyards and Lake Okanagan. Bring your Mat and your appetite! This easy flow class will be followed by a wine tasting, and perfectly paired 3 course Wine Brunch with Blu Saffron Bistro on our patio. Limited spots available. 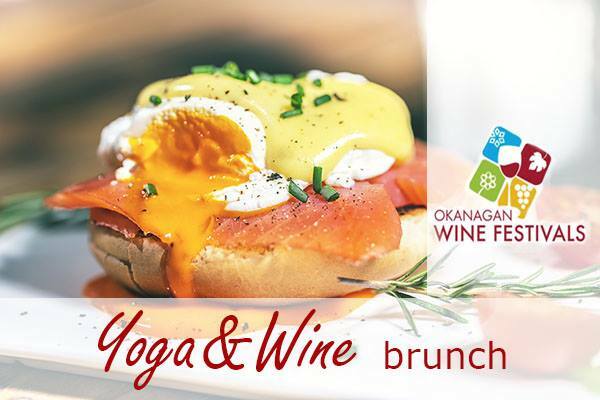 $60/pp Includes 1hr Yoga Class, Wine tasting, and 3 Course Brunch Paired with 3 Wines.